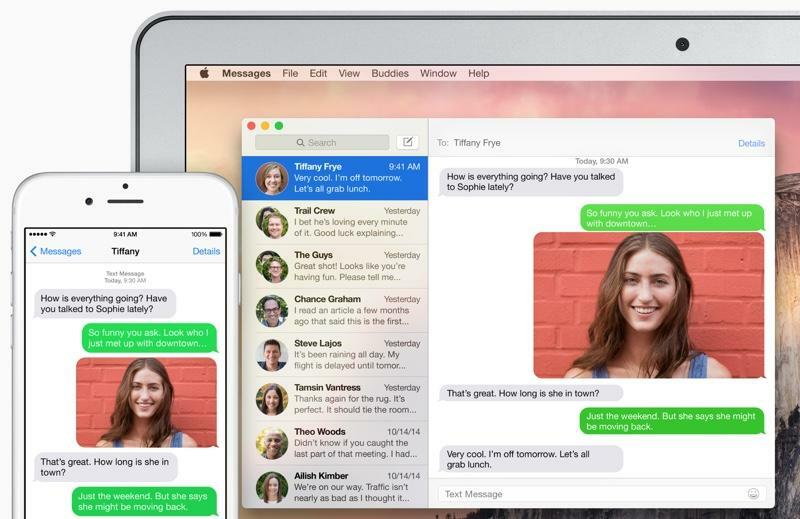 One of the awesome new features in OS X Yosemite isn’t just that you can receive and place phone calls across your Mac, iPad and iPhone, but also that you can send and receive SMS and MMS text messages. 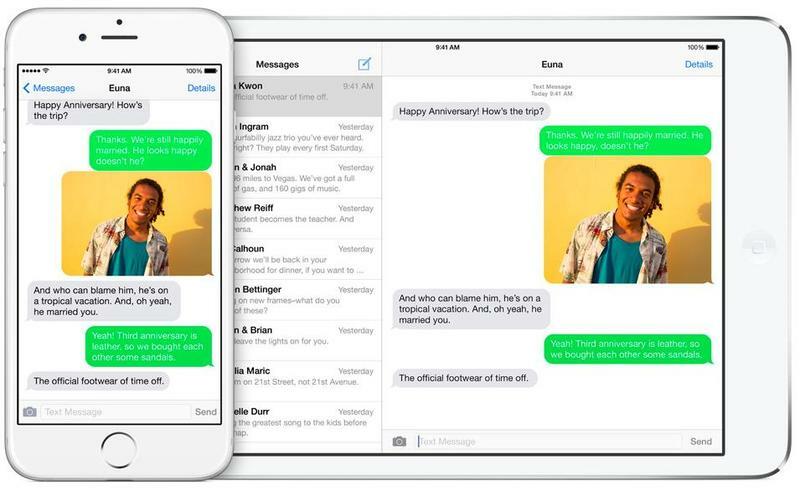 That means you can easily send a photo or a text to someone who doesn’t have iMessage right from your computer, or right from your iPad, without having to switch to your iPhone. I was having some difficulties setting it up myself last night – maybe I’m just silly – so I figured it might help to create a how-to guide for our readers, too. You’re going to want to make sure that you already have OS X Yosemite installed on your Mac and iOS 8.1 installed on your iPhone and iPad first. This won’t work without those two conditions being met. If you’re not sure how to check, just open up settings on your device and select General > About. In OS X, just click the Apple logo on the top-left side of the display and click “About this Mac.” Both of those screens will tell you what OS you’re running. Make sure your Mac, iPad and iPhone are all connected to the same Wi-Fi connection. Make sure all of the devices are logged-in to the same iCloud account. You don’t want to be receiving your father’s phone calls, do you? Choose the devices on your home network that you’d like to receive SMS messages on – in this case, I chose my MacBook Air and my iPad. You should receive a code on your iMac and iPad. 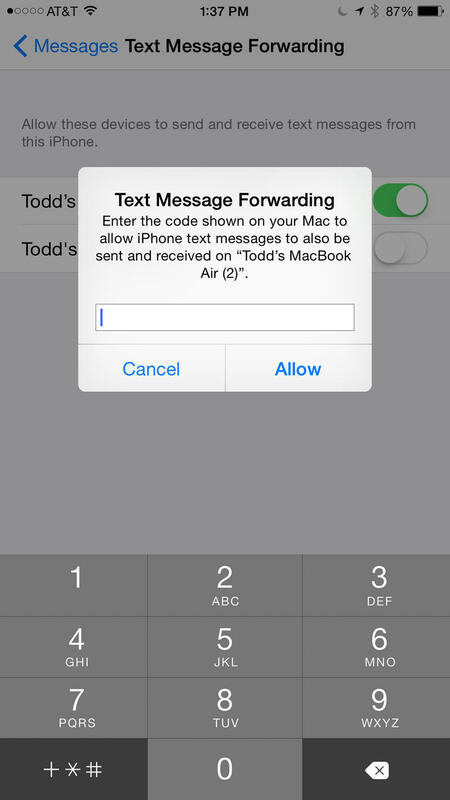 Enter that code into the prompt on your iPhone. Voila! 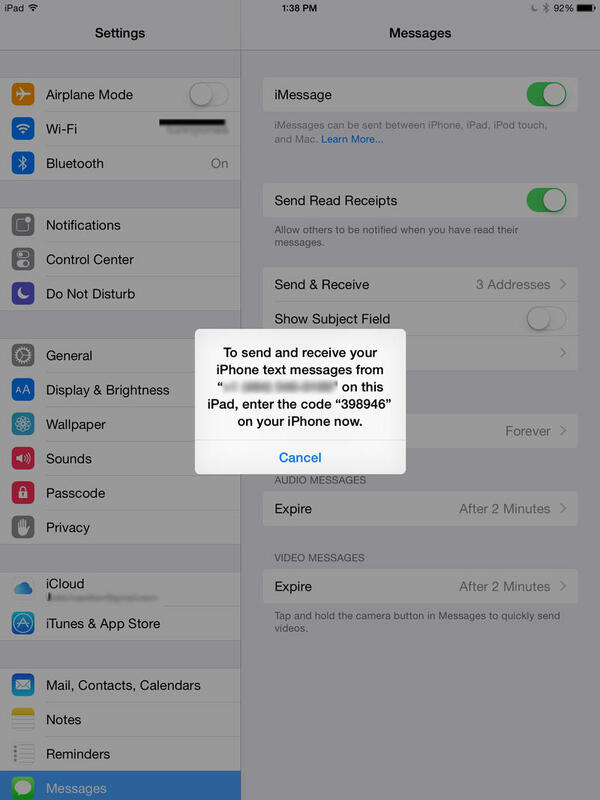 That should do the trick, and you should now be able to both send and receive SMS and MMS texts on your Mac and/or iPad running iOS 8.1. It’s a really useful feature, particularly combined with support for voice calls, that allows you to leave your iPhone in your pocket more and interact directly from the device you’re currently using.